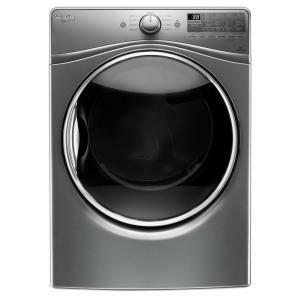 Help prevent damage caused by over drying with precise fabric care from this Whirlpool 7.4 cu. ft. large capacity electric dryer. Advanced Moisture Sensing adapts drying times to end the cycle right when everything is dry, preventing over-drying. Quad baffles provide more balanced tumbling and increased effectiveness on smaller loads while the stainless-steel dryer drum with sound-dampening technology provides quieter tumbling in this ENERGY STAR certified dryer. With the EcoBoost option, you can even save money by using less energy while still getting the same great drying performance. Is there a light inside the dryer? Does this unit come with everything needed for the steam feature.? The Y joint and necessary hoses. No, an inlet hose and Y connector is not included. is this a heat pump dryer and is there a rebate on this? Hi Nancy, this is not a heat pump Dryer. Please contact your local Dealer for more information regarding rebates. Thank you for your inquiry regarding our Whirlpool appliances! Can this dryer be stacked? Can you stack this washer and dryer set? If so, which stacking kit would I need? 7.4 cu. ft. 240 -Volt Stackable Chrome Shadow Electric Vented Dryer with Advanced Moisture Sensing, ENERGY STAR is rated 4.7 out of 5 by 2027. Rated 1 out of 5 by Jeff from I'll start by stating that the dryer itself is great, super quiet and drys pretty fast. With th... I'll start by stating that the dryer itself is great, super quiet and drys pretty fast. With that said, our 4 month old dryer stopped working and getting a repair has been absolutely horrible. Between Whirlpool and the local repair company they have missed 3 appts. The first time Whirlpool never transferred the order to the repair center, the second time the repair center canceled the work order for some unknown reason, the third time they didn't have the part even though we spent hours on the phone with them to ensure they would. We will see how the fourth attempt goes. Each time we waited during our scheduled time, only to find out that they weren't coming. Assuming they can fix it on the fourth attempt, we will have been without a dryer for just shy of 3 weeks. 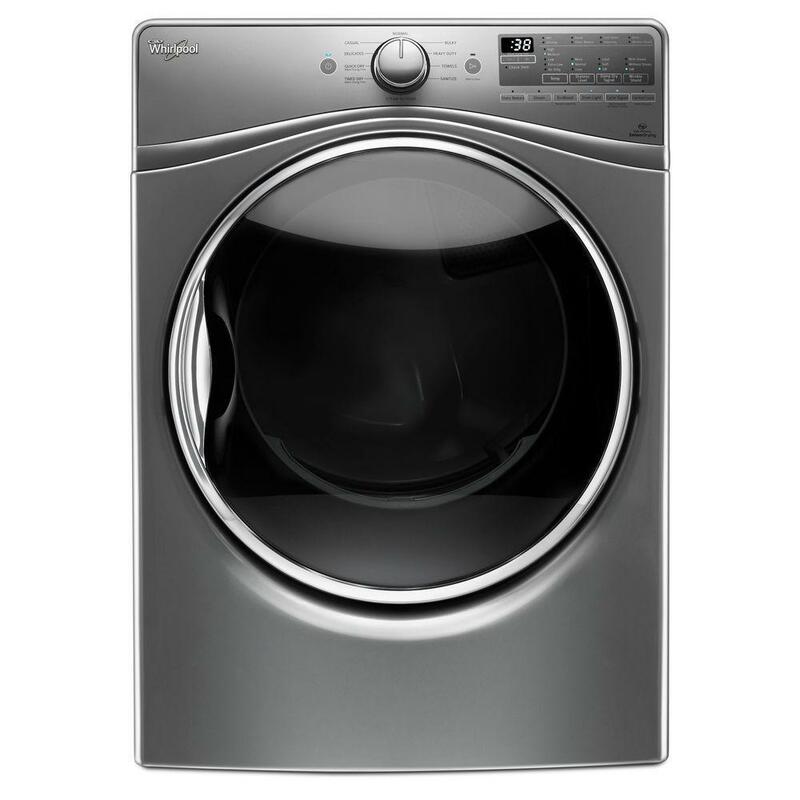 I insisted on buying Whirlpool to support American jobs and company, worst service we've ever experienced.